Bloodstock’s friends at Hobgoblin are once again hosting the Metal 2 The Masses Video Upload competition for 2016. The multi-layered Metal 2 The Masses scheme gives unsigned and DIY bands a chance to play on the Newblood Stage. Instead of taking part in the local M2TM heats, another way to enter is by submitting your video to Hobgoblin’s upload site! If you have a video, get it uploaded now and you could be in with a chance of shaking the Newblood stage at Bloodstock! Not only this, but Scuzz TV will be giving 10 lucky bands a chance by airing their videos on the Scuzz channel! Get all the info here. If you’re not aiming to take to the stage any time soon, then Hobgoblin are giving away stacks of prizes in return for your votes. All you have to do is vote for your favourite band and be in with a chance of winning VIP weekend tickets, Hobgoblin beer, festival flags or over 500 legendary Hobgoblin t-shirts! Just click here, set up an account and get voting! But keep visiting, as new bands keep entering! 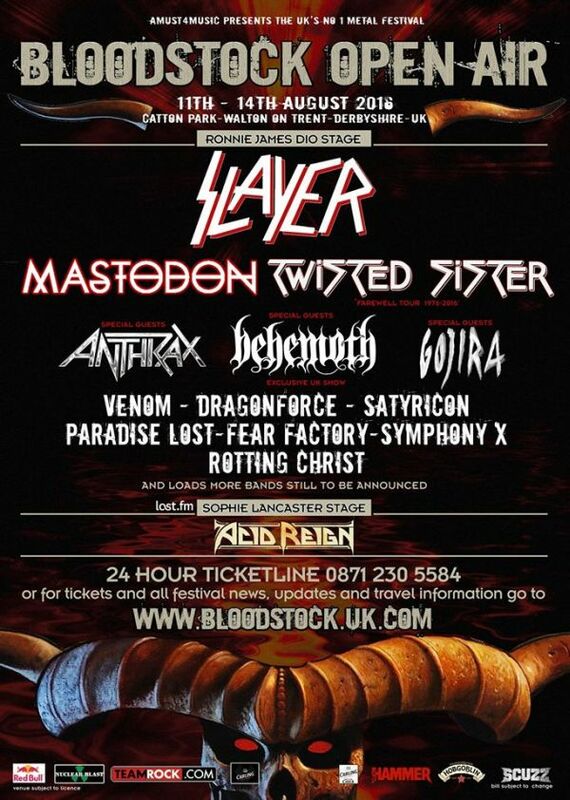 Bloodstock’s standard weekend tickets with camping are on sale now, priced £139 (+ booking fee) from http://bloodstock.seetickets.com/event/bloodstock-2016/catton-park/902838.